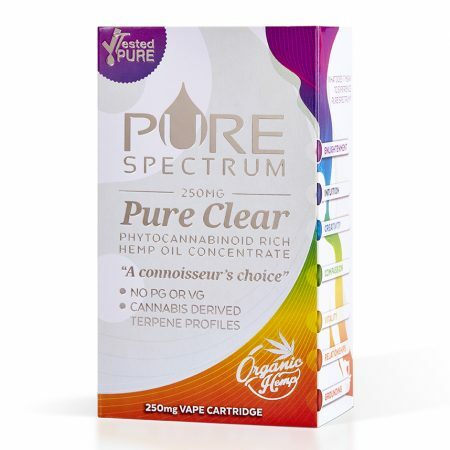 Pure Spectrum’s vape cartridges are tempered glass cartridges with larger intake holes designed not to leak and engineered to vape our more potent oils and thicker concentrates while maximizing the amount of vape per hit. 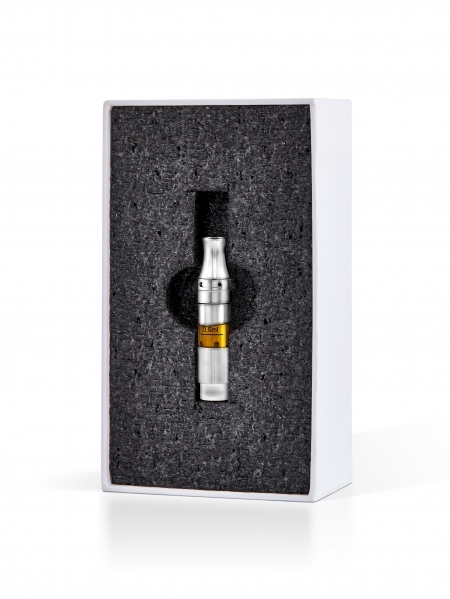 For those wanting a maximum strength serving of CBD, our 250 mg vape cartridge is your choice. Each cartridge is made from organically grown, nutraceutical-grade CBD isolate, flavored with naturally extracted terpenes from your favorite cannabis strains. Compatible with 510-thread, variable-voltage vape pen batteries ONLY; automatic-draw vape pens are not compatible. This stuff is awesome! I got it for back pain I have been dealing with the past few months along with a tincture as well. I woke up one night with period cramps and thought maybe I would try it for that. I took a few puffs and didn’t have to load up on my ibprofen as usual! I was amazed at the results! The bubble gum flavor is very nice and not overpowering. These oils are also helping with my anxiety as well! Highly recommend! .I wasn’t experienced with vaping, and new to the CBD world in general. When I bought this, I wasn’t sure it would work for my chronic pain- especially since its THC- free. I have had chronic pain in all 4 limbs, back & neck for almost 10 years. I’ve been on different medications for it throughout the years and I’ve been trying different CBD products as an adjunct to my current prescription. I am very impressed with this product. I have been using the vape pen 1-2 times a day, and its helped A LOT with my pain. Now, I’m usually pain free, even after my regular RX dose is wearing off. In the winter, my pain always gets worse, and this winter its SO MUCH better since I’ve been using CBD. I’m already putting in my next order! Give it a try, use it consistently for a couple weeks at least, and you will likely see a positive difference in your pain control. The smell/ taste is good, not overpowering or lingering. Never miss a SALE! Subscribe Today! The mind body and spirit work together as a system of energy. Balancing oneself and maintaining optimal health within your Endocannabinoid System is key to reaching your full potential. Pure Spectrum aims to formulate products that create synergy within the Endocannabinoid System to achieve self healing, happiness and longevity. © purespectrumcbd.com. All Rights Reserved.